The GTA’s hot housing market has been profitable and lucrative to many, but not all areas around Toronto have experienced positive growth. Read below to see what’s going on in Markham specifically; the trend is not great. Stroll through her Unionville neighbourhood and it seems resident Christiane Bergauer-Free is taking you on a tour of a ghost town. “That one’s been vacant for two years, that one hasn’t been lived in for three years, that one across the street hasn’t had anyone living in it for the past year,” she says as she strides down the middle of the street. She points out other homes under construction, some just built, others being torn down. No need to worry about traffic, as Bergauer-Free has the road to herself. There aren’t many cars or people. Because almost nobody lives in this long-established Markham neighbourhood. The problem, according to Bergauer-Free and real estate agents we’ve spoken to, is that single-family homes are being sold to foreign buyers and speculators who have no intention of ever living in them. The goal is to hold onto the property — or rebuild on it so that it appreciates by 30, 40, 50, sometimes 100 per cent, then sell it for the massive profit. That leaves neighbours who stick around left in a world of churn: homes left vacant, appreciating in value, then sold or torn down and rebuilt and resold or leased short-term to families who have no connection to the neighbourhood and won’t put down roots. Then sold once the lease is up. Bergauer-Free, who is a community activist, pulls out what she calls “a rough estimation of the home status for March 13,” for 18 streets in Unionville’s Varley Village. It breaks down the status of 190 homes, with 40 listed as vacant. Another 25 are new, 14 under construction, and a whopping 48 estimated for lease. There are 23 listed as sold. Several are listed for sale or for lease. He said vacant homes, short-term leases, teardowns, rebuilds, heavy levels of sell-offs and the like have skyrocketed over the last few years as the market has boiled over. And he blames the rise of speculation and foreign money for the trend. That was confirmed by the real estate agents we spoke to, several of whom said Markham’s real estate market is dominated by foreign buyers to the tune of 60-80 per cent. What can be done to reduce the trend? Ontario Finance Minister Charles Sousa has instituted a 15 per cent foreign buyers’/speculators’ tax which may begin to slow down the market. There may be a move as well to institute a vacant homebuyer’s tax, though that would apply only to the City of Toronto, it seems. These measures may reduce some of the churn seen in neighbourhoods like Varley Village. 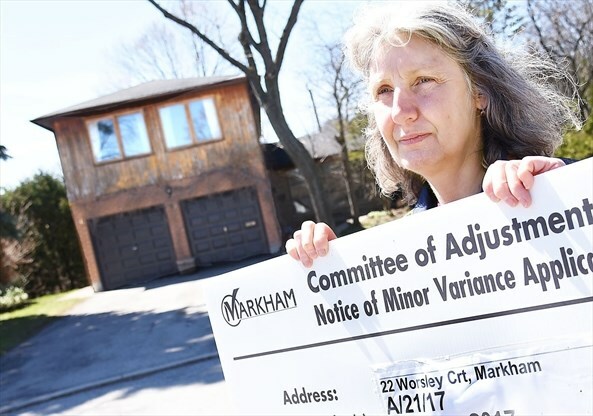 The City of Markham said it does not keep track of how many vacant homes it currently has. The City of Toronto says it has 65,000 vacant homes.